Have you ever wanted to control things just with your mind? Many movies have captured our imagination with the potential of using brain waves to influence and change objects around us by concentrating our thoughts on the object. With the advent of VR we are now able to immerse ourselves in virtual worlds where we have full control of everything that surrounds us. It is only natural that our input methods for impacting this world extend to brain control. Once such company, WaVR (http://brainwavr.com) is just doing that. 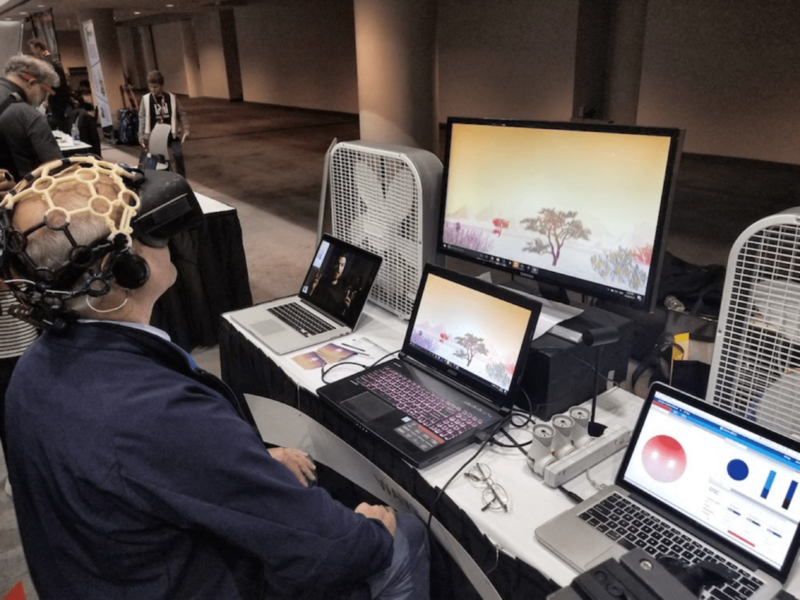 Their neuro-controlled headset monitors and impacts the VR environment to the delight of the user. WaVR’s initial product helps users get into a healthy meditation phase by changing colors and adding objects such as trees based on how relaxed the user is while immersed in the environment. Over time the user builds a wonderful world just by relaxing and thinking happy thoughts. What will the future bring? Interfaces such as WaVR will enable us to mind control and manipulate our virtual environments just by thinking about them.